This is about Old Pianos, and how their owners often overate them. In plain words, an old piano regarded as a “gem” by his/her owner, for the piano tuner is often just a piece of “old junk”. Better not to say! Not long ago, (probably a fe w years) I had a telephone call asking to tune a piano. By the tone of her voice, I guessed the potential customer was and old lady. I must point out that every time I get a call asking for an appointment, I ask for some information. Things like, what’s the piano maker, how old it is, (the piano, not the customer), and so on. But this time, I probably was busy and didn’t ask more information, just the address. Big mistake. Few days later I went to do the job, which incidentally was quite far away, in a village about 100 kms. from my place. A charming old lady was there to greet me. Her house, full of antiques, truly looked like a museum. The whole place expired tradition and memories. In that house everything was old, very old. By the way, the pic of the piano in this entry doesn’t correspond to the piano involved in this story. This is just a pic from a piano rougly the same period. but in a much better condition. She took me to the piano, “the jewel” she said. When I saw the “jewel”, at first glance I knew that wasn’t my lucky day. I cursed my negligence for not asking sufficient information before accepting the job and giving an appointment. Let me clarify this, I don’t undertake jobs for pianos over a certain age and state. Experience tells you, in the vast majority of circunstances they are not worth it. Not for the piano owner neither for the piano tuner. Any way, it was a massive upright piano, probably mid-19th century, that is about 150 years old, easily. All kind of ornaments, chandeliers and so on, so highly appreciated at the time. I open the top lid, and as expected, a total ruin. The strings, all rusty. The action, neglected and completely out of condition. Also, as in all the pianos of that time, wooden string-plate. For the ones of you who don’t know, a piano with a wooden plate, is a piano that in the vast majority of cases, simply is not tunable, and therefore useless, at least from a technical point of view, of course. Cast-iron plates only started to be broadly manufactured around the beginning of the 20th century. I must admit that my first impulse when I saw the “jewel” was to give an excuse and run away. But not, I didn’t chicken out. After all, I wasn’t prepare to waste the whole day and do about 200 kms. just for nothing. So, I started seriously inspecting the piano. As I was evaluating the piano, and by extension the silly mess I got myself in, the charming old lady was illustrating me. She bought the piano only two months ago from an old gentleman that obviously had known better times. He inherited the piano from his parents, who at the same time, inherited it from his grandparents. It is a gorgeous piano which have seen several generations and therefore of a very high value (she reasoned). I am a little bit ashamed to say (she giggled) but the best thing is that I bought this beauty for a ridiculous bargain price (she lowered her voice), just 2000 euros. I almost faint, 2000 euros!!?? For me, that old thing wasn’t worth it the money to transport it, and this woman had paid 2000 eutos!!. I wouldn’t accept that piano, even as a gift!!. As often happens, she was totally unconcern about the mechanical condition of the instrument and because there were no missing keys, she more or less figure out that an ordinary piano tuning would be all that was required to bring the piano back to live. There are times and situations in the life of a piano tuner that are hateful, and this was one of them. How to tell this nice old lady that her piano wasn’t exactly a “jewel”. Well, trying to be as diplomatic as I possible could, I told her that although her piano was certainly a beauty, in reality the mechanical condition left much to be desired, so what the piano needed wasn’t just a tuning, but a restoration. Now then, a full restoration (I kept informing the lady) would be extremely costly (I wasn’t certainly, willing to do it) and an ordinary standard tuning, little less than impossible, as the pin-block wouldn’t hold the new pressure of the strings (the piano was about one and a half whole steps down). In the very improbable case that the piano were able to hold the tune, it would be needed at least three sessions to raise the piano pitch, up to standard. The lady, to my amazed, didn’t look surprised at all, and took it quite well. 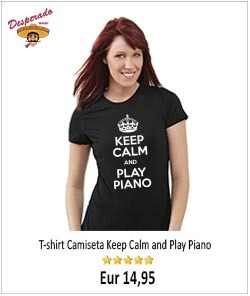 This made think that maybe she new more about the piano than she admitted to know. Well, she insisted that I tuned the piano lower pitch, so at least she could play it. Then, I did one of the things I most dislike. That is to tune a piano lower pitch. But the customer is always right and the one who subscribes have neither will nor intention to discuss the instructions of his payer. The piano was tuned a whole step down (as requested, impossible to tune it any higher)) and I also did a couple of repairs and odd regulations. To finish the whole job took me about four hours. I have to do a first rough tuning, follow by a second fine one. Hated the job, but at least, the old lady was happy to “play” her piano and I didn’t wasted the day and the long driving. A day to reflect and also to forget. Notice: If you are a newbie piano tuner or want to work as a such, I strongly advice you to keep your thoughts (regarding a very old piano) to yourself, as that piece of “old junk” can mean a lot to his/her owner. In order to survive in this business, better to be polite and discreet. I am considering buying a 1938 Marshal and Wendell 5′ baby grand piano. Serial # 100406. It was appraised at about $1200.00 and soundboard is supposed to be excellent, pin block tight and holding tune, bridges excellent. The action assembly is original. Apparently it will require multiple tuning sessions. I was wondering if it’s worth spending this much money. It’s primarily to play at home, for kids to learn how to play. I would rather not spend too much (can’t afford anything more than $3,000.00 US). But I don’t want to get a money pit. What’s your take on it? If the information that you have regarding the state of the pinblock, soundboard, bridges and so is veritable (I mean, coming from a knowledgeable technician) definitly, go for the piano, you will not find anything better for $1200 US. If not sure 100% then have it checked again. Probably will need a pitch lifting and two or three tunings, also some action regulation, that will account for about 200 or 300 extra bucks. Even though I think is worth it. I am heritating of also a very old upright 150 years old, very low in pitch (a bit more than one tone low). I would like to try to make it barely playable at a lower pitch, more for the technical/mechanical challenge than the pure music (but it should be playable). The goal is to be able to play simple melodies with it or see if kids are interested in pianos before purchasing a good learning piano. I observed a bit the piano and am also thinking to move the keyboard one or two notes on the right, so that the picth for each key is right (mechanically, it is feasible). I would loose the two rightest keys, but the piano picth would be correct. It will not fit 100% percent the piano string plan, but would it lead to a acceptable result, so that you can play melodies at the right pitch (better ofr the ear)? First thing, check if your piano is wooden frame, if it is wood (probably it is wood because of its age) chances are the piano will not be tunable at all and all your efforts will be in vain. Of course, you can try and see how it goes, maybe one full step or two down….but personally I would not be too optimistic. Problem with pianos that age is that they are terribly expensive to restore, more than buying a new one. 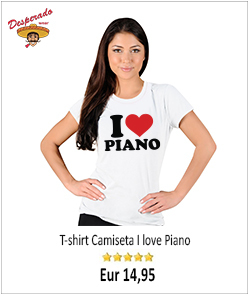 Anyway, wish you good luck with your piano. Please let us know the outcome. I still have some hopes, because a closer analysis shows that most unissons are still OK, meaning that the pins are not moving randomly. But true, when moving them, it could loosen them and eliminate the grip that still keep them more or less. What I hope is that tuning them at lower picth will imply a lower tension, and so will require a lower grip (tension isproportional to the square of frequency). I just ordered a tuning hammer. I will first try adjusting a few strings and see if they can hold the tune. Besides, I have found that for old musique concerts, musicians use baroque pianos that are pitched at A=415 Hz. but to make them usable with standard instruments and music, pianos have a sliding keyboard to allow shifting all keys by one place, meaning they have now A=440 Hz. 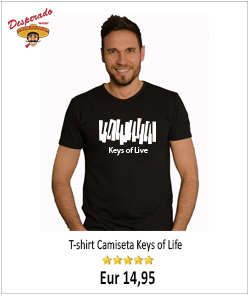 I plan thus to do the same, but with a shift of 2 keys (or 3?). I have in the meantime repaired the broken actions and filed the lead weight that were oxydized in the keys and making them sticky. Now all notes are working and I tried to do a pitch raise yesterday, to bring it to a A4-200 cents (392 Hz). The work was approximative, but the results are very encouraging. i could play small melodies without having the ears ringing. Let’s see if it holds the pitch more or less. I can also easily shift the keyboard to align it to a A4=440 Hz (OK, I am loosing the two upmost keys), but then, I have a right-pitched piano without risking breaking strings or putting too much tension on the frame and pin block. But that will be for later. Next step is to measure inharmonicity (using Tunelab) and start a first decent tuning. Some update on the situation: I cutoff the corner of the keyboard holder so that I can slide it by 2 keys to the right (removing the two rightmost keys that are no longer connected to actions. This worked fine and I can now play the piano at 440Hz pitch. The sound is good, although some threaded strings are ringing not OK. It may be due to the fact that the tension has been lowered, or that they are a bit loose (I will have to try turning them of 1 turn to tighten the threads). Regarding tuning pins, most hold the tune. A few were very loose: I fixed one by adding two wood shims in teh pin hole, but the wood shims are slipping too and it did not help (maybe there is a slight crack in the soundboard too). The second one is shimmed with two pieces of sandpaper 150-grade. There the grip is very tight (even a bit too tight, I will have to use smaller onces in the future). But both pins holds teh tune far better. So, overall very good progress. The piano is now playable. As it is a wooden frame, the tune moved a lot with the seasons changing and I hae to bring it back in tune. But the concept is there. As it is a piano with baionets, the dampers are not working very well. I will have to try fixing that when I have some more time. More later when I have some more time to work on it. After one year, I share with you some of the results. Overall, I am very satisfied. 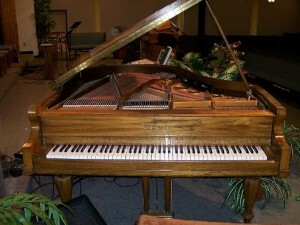 the piano can be tuned and is playable. I had some musicians playing on the piano and dispite the two keys missing, they could not tell the keyboard was shifted. It plays around a pitch of 440Hz and is in tune overall. Clearly, the pitch is changing with humidity, but it changes rather homogeneously over the whole piano, making it stay in tune. The tuning holds reasonably well. It needs a tuning about once every 3 months. With some unissons needing a bit more frequent adjustments. So, the goal is reached: this piano is playable at a modern pitch. I did not break any string or forced the frame by pulling on them to raise the pitch, increasing risks of failure. Moving the keyboard was rather safe. The result is not a concert piano, but we really can enjoy the instrument despite its age. So, I encourage those with very old pianos where a pitch raisecan be problematic to consider shifting the keyboard instead. On mine, this change is fully reversible, apart from a small corner of the keyboard support frame, a minor change completely invisible. Congratulations Blutch, you are the first person I know who did that job successfully. This is a great story, well told and very relevant to anyone thinking of buying an old piano. We bought a lovely old piano for $150 for our grandchildren recently. The piano tuner told us it could not be tuned, and if he did tune it it would only lazt a few days. Lesson learnt! Get a tuner’s assessment or advice before buying “a lovely old piano”. Thank you for your comment. Yes, I do agree with you, much better to get advice from a technician before buying an old piano. I think I’m headed down the same road as you were in this article. customer has a Henry Moore 58″ baby grand, 75-100 years old is here guess. not tuned in “a few years”. inherited it from the older family members. can’t find any info on this brand but somehow, I think I’ll regret taking the job. I don’t know that brand either, probably a stencil piano made by God knows who. Not tuned in a “few years” could easily means 20 or 30 years to be optimistic….Anyway, learn by your mistakes, like we all do. Good luck with the job.